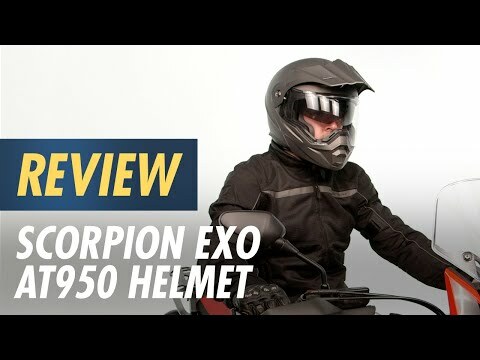 The Scorpion EXO-AT950 is a versatile modular Adventure Touring helmet. 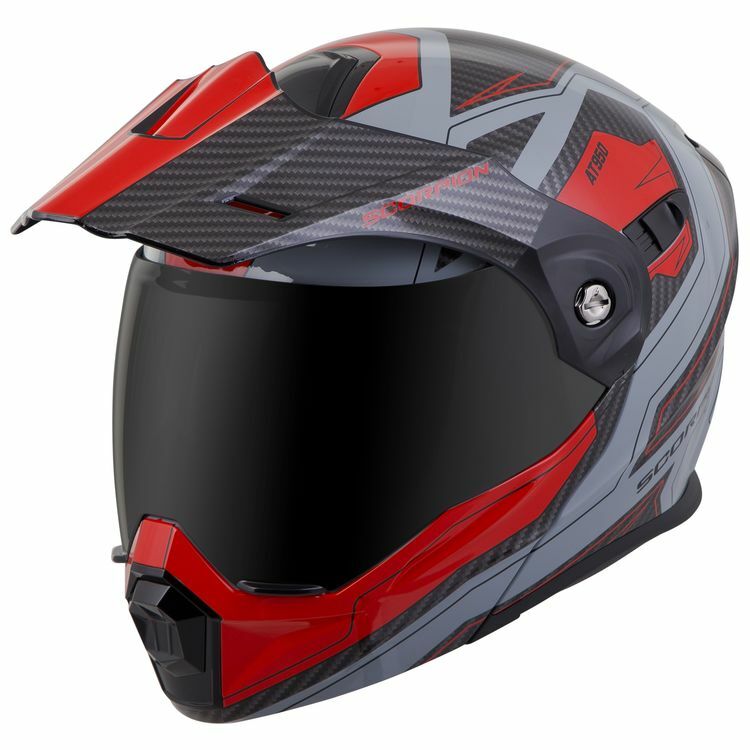 The AT950 can be used as a full face ADV helmet with external peak visor attached, or the peak visor can be removed resulting in an aerodynamic touring helmet. The oversized eye port is extremely wide for greater peripheral vision and downward visibility, and the modular chin bar can be conveniently flipped up when you stop to get gas or ask for directions. The internal drop down Speedview sun shield and KwikWick II liner will keep you comfortable all day long. Additionally, the no-fog Everclear face shield can be removed so you can use the EXO-AT950 as a dirt helmet with goggles for off-road use. Kwikfit cheek pads allow easy on and off of the most common styles of eye glasses. Easy-use flip-up chin bar allows the chin bar to be raised or lowered with either hand. Note: Goggles sold separately. Helmet ships with a clear face shield.